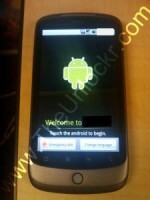 Nexus One: The New Google Cell Phone? After all, Google is coming out with their own cell phone designed by HTC. It was reported several years ago that Android was going to be Google’s free cell phone to the masses. There would have been no monthly charges, no data fees as the free service would be supported targeted ads served up to users. The G1 was suppose to be that cell phone, but Google quickly refuted those claims saying that they weren’t making a cell phone, but they were making an open source Linux software that would be available for all cell phone makers. Can Search Engines & Social Media Predict Startups on the Rise? Mark Cuban Gets it Right, Again! Google Buzz Fails. Google gets Power. © 2019 Intent Content. All Rights Reserved.